An endophytic fungus called Neotyphodium coenophialum can be credited for many of these benefits. The fungus cannot be seen and can only be detected by laboratory analysis. The fescue endophyte forms a mutually beneficial relationship with the grass, but this symbiotic relationship does not carry over for grazing livestock. It did not take long for tall fescue to develop a reputation for poor animal intake and weight gain. It wasn’t until the late 1970s that these symptoms and others were traced back to the endophyte. The endophyte produces ergot alkaloids (a type of mycotoxin) that can significantly influence animal performance. When consumed in high concentrations, these mycotoxins cause constriction of the blood vessels. Symptoms can range from mild irritation to tissue death. In severe cases, full constriction can occur resulting in the loss of appendages such as hooves and tails or early abortion in pregnant animals. Endophyte-free cultivars were developed following this realization, but they struggle to persist year after year in grazing systems. Novel endophyte cultivars have also been developed. These cultivars still contain an endophyte that passes benefits onto the plant, but do not produce harmful side effects in grazing animals. Despite these advances, few beef producers have renovated pastures to replace the population of KY-31 with improved cultivars. 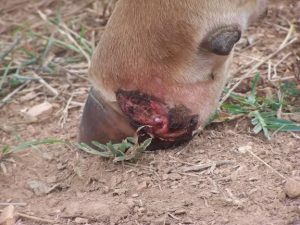 Unless you have done pasture renovation, fescue toxicosis should be on your radar. There are many strategies for reducing the impacts of the endophyte in your herd and they all begin with recognizing the signs of toxicosis. Animals with dark hair coats may display more intense symptomology. This is due to solar radiation, which can drastically increase body temperature. Fat necrosis- the development of hard fat masses. Most commonly in the abdomen, these masses create digestion and birthing difficulties. This is condition is generally associated with fescue pastures that have received heavy nitrogen fertilization. Loss of pregnancy due to lack of blood flow to the fetus. 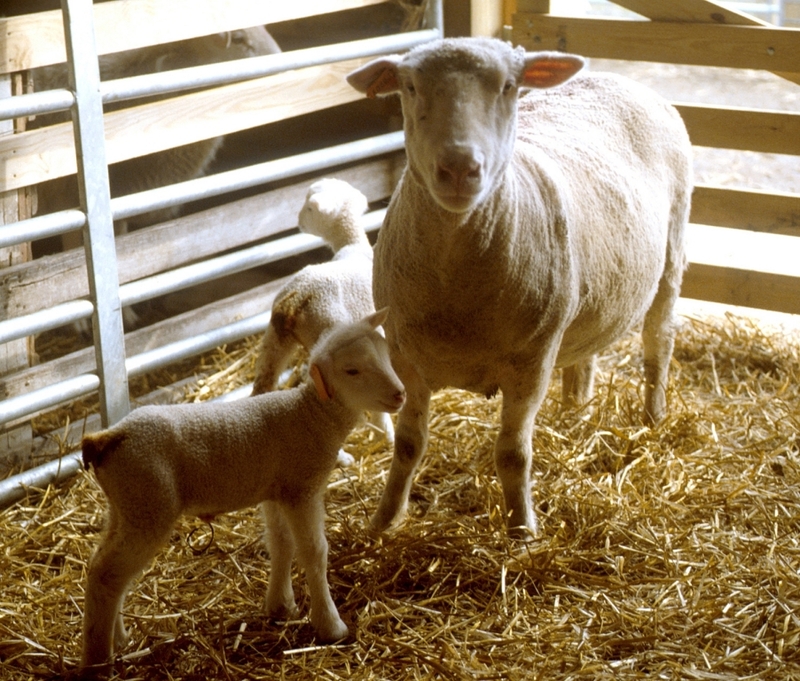 Early abortion is of greatest concern for pregnant mares in the third trimester of gestation, but can also occur in sheep and cattle. Pasture renovation with a novel endophyte cultivar is the most effective option for reducing the influence of endophytic fescue, but is not a feasible option for all pasture managers. One of the easiest ways to combat the influence of KY-31 is to dilute it with other forages, such as red and white clover. Be sure to manage grazing height to promote legume growth. Another option is to establish an alternate stand of annual forages to utilize for grazing in mid-summer when pasture endophyte concentration is the greatest and symptoms of exposure are most obvious. Because the fungus accumulates in seed heads, harvesting hay before seed heads develop and clipping seed heads from grazed pastures will reduce the endophyte exposure to your herd. Stockpiled fescue has few endophyte concerns because fungal concentration drops in late fall and winter. Livestock symptoms will also be less intense due to the cooler temperatures. Fescue endophyte can persist for up to two years in stored hay, so animals fed KY-31 hay may benefit from supplementary grain and/or an added ration of legume hay to their winter diets. The damages of fescue toxicosis often go undetected in sheep production and can have drastic influences on animal performance. Being aware of endophyte issues early and implementing good management techniques will go a long way for increasing flock productivity and in turn, profitability. If you suspect that fescue toxicosis is significantly affecting your flock, talk with your veterinarian about reducing sheep stress, reach out to your local Extension personnel, and investigate ways to improve your specific system through pasture and grazing management. The University of Tennessee: Tall Fescue: Endophyte-Infected or Endophyte-Free? Posted by Braden Campbell at 8:00am January 4, 2019 Posted in Forages and Pasture and tagged Forages and Pasture, Health, Management. Bookmark the permalink.